Match ends, Montpellier 1, Lyon 3. Second Half ends, Montpellier 1, Lyon 3. Goal! Montpellier 1, Lyon 3. Alexandre Lacazette (Lyon) right footed shot from the centre of the box to the bottom right corner. Assisted by Mathieu Valbuena. Attempt missed. Mouctar Diakhaby (Lyon) right footed shot from the centre of the box misses to the right. Assisted by Mathieu Valbuena with a cross following a corner. Corner, Lyon. Conceded by Nordi Mukiele. Attempt blocked. Alexandre Lacazette (Lyon) right footed shot from the centre of the box is blocked. Assisted by Jordan Ferri with a cross. Corentin Tolisso (Lyon) hits the bar with a right footed shot from outside the box. Assisted by Jordan Ferri. Attempt missed. Steve Mounie (Montpellier) header from the centre of the box misses to the left. Assisted by Isaac Mbenza with a cross. Attempt missed. Jordan Ferri (Lyon) right footed shot from the centre of the box is close, but misses to the left. Assisted by Maxwel Cornet. Offside, Montpellier. Ryad Boudebouz tries a through ball, but Isaac Mbenza is caught offside. Offside, Montpellier. Keagan Dolly tries a through ball, but Steve Mounie is caught offside. Maciej Rybus (Lyon) wins a free kick in the defensive half. Foul by Stéphane Sessegnon (Montpellier). Delay in match Maxwel Cornet (Lyon) because of an injury. Substitution, Montpellier. Keagan Dolly replaces Jonathan Ikone. Substitution, Lyon. Jordan Ferri replaces Nabil Fekir. Offside, Montpellier. Ryad Boudebouz tries a through ball, but Steve Mounie is caught offside. Substitution, Montpellier. Mamadou N'Diaye replaces Paul Lasne. Substitution, Lyon. Mathieu Valbuena replaces Memphis Depay. Corentin Tolisso (Lyon) wins a free kick in the defensive half. Attempt saved. Alexandre Lacazette (Lyon) right footed shot from the left side of the box is saved in the top centre of the goal. Nicolas Nkoulou (Lyon) wins a free kick in the defensive half. Attempt missed. Stéphane Sessegnon (Montpellier) left footed shot from outside the box is close, but misses to the right. Assisted by Ryad Boudebouz. Stéphane Sessegnon (Montpellier) wins a free kick in the defensive half. Foul by Jonathan Ikone (Montpellier). Substitution, Montpellier. Isaac Mbenza replaces Yacouba Sylla. Yacouba Sylla (Montpellier) wins a free kick in the defensive half. Foul by Maxwel Cornet (Lyon). Attempt missed. Daniel Congré (Montpellier) right footed shot from outside the box is close, but misses to the left following a set piece situation. Attempt saved. Steve Mounie (Montpellier) header from the centre of the box is saved in the bottom right corner. Assisted by Ryad Boudebouz. Ryad Boudebouz (Montpellier) wins a free kick in the attacking half. Foul by Lukas Pokorny (Montpellier). Foul by Steve Mounie (Montpellier). Attempt saved. Jonathan Ikone (Montpellier) left footed shot from the right side of the box is saved in the centre of the goal. Assisted by Ryad Boudebouz. Foul by Nicolas Nkoulou (Lyon). Steve Mounie (Montpellier) wins a free kick in the defensive half. Attempt missed. Steve Mounie (Montpellier) header from the centre of the box is high and wide to the right. Assisted by Nordi Mukiele. Attempt missed. Corentin Tolisso (Lyon) left footed shot from the centre of the box is too high. Assisted by Nabil Fekir. Yacouba Sylla (Montpellier) is shown the yellow card for a bad foul. Maxwel Cornet (Lyon) wins a free kick on the right wing. Foul by Yacouba Sylla (Montpellier). Delay in match Lukas Pokorny (Montpellier) because of an injury. Offside, Montpellier. Ryad Boudebouz tries a through ball, but Lukas Pokorny is caught offside. Attempt blocked. Stéphane Sessegnon (Montpellier) right footed shot from outside the box is blocked. Yacouba Sylla (Montpellier) wins a free kick on the left wing. Substitution, Lyon. Maxwel Cornet replaces Rachid Ghezzal. Second Half begins Montpellier 1, Lyon 2. First Half ends, Montpellier 1, Lyon 2. Attempt missed. Ryad Boudebouz (Montpellier) left footed shot from outside the box is just a bit too high. Assisted by Stéphane Sessegnon following a fast break. Stéphane Sessegnon (Montpellier) is shown the yellow card for a bad foul. Memphis Depay (Lyon) is shown the yellow card. Nordi Mukiele (Montpellier) is shown the yellow card. Attempt missed. Steve Mounie (Montpellier) right footed shot from the centre of the box is high and wide to the right. Assisted by Jonathan Ikone. Offside, Montpellier. Jonathan Ikone tries a through ball, but Steve Mounie is caught offside. Attempt saved. Jonathan Ikone (Montpellier) left footed shot from outside the box is saved in the centre of the goal. Assisted by Nordi Mukiele with a headed pass. Goal! Montpellier 1, Lyon 2. 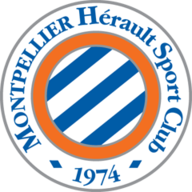 Steve Mounie (Montpellier) header from the centre of the box to the top left corner. Assisted by Ryad Boudebouz with a cross following a corner. Corner, Montpellier. Conceded by Christophe Jallet. Attempt blocked. Ryad Boudebouz (Montpellier) left footed shot from the centre of the box is blocked. Assisted by Paul Lasne. Foul by Mouctar Diakhaby (Lyon). Paul Lasne (Montpellier) wins a free kick in the attacking half. Attempt saved. Corentin Tolisso (Lyon) right footed shot from outside the box is saved in the centre of the goal. Assisted by Memphis Depay. Offside, Lyon. Memphis Depay tries a through ball, but Christophe Jallet is caught offside. Attempt missed. Lukas Pokorny (Montpellier) header from the centre of the box is high and wide to the right. Assisted by Ryad Boudebouz following a set piece situation. Hand ball by Ellyes Skhiri (Montpellier). Corner, Montpellier. Conceded by Memphis Depay. Goal! Montpellier 0, Lyon 2. Alexandre Lacazette (Lyon) right footed shot from the centre of the box to the bottom left corner. Assisted by Memphis Depay with a through ball. Rachid Ghezzal (Lyon) wins a free kick in the defensive half. Attempt missed. Rachid Ghezzal (Lyon) left footed shot from the right side of the box is high and wide to the left. Assisted by Christophe Jallet. Goal! Montpellier 0, Lyon 1. Nabil Fekir (Lyon) right footed shot from very close range to the centre of the goal. Assisted by Alexandre Lacazette. Attempt saved. 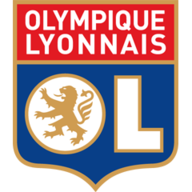 Rachid Ghezzal (Lyon) left footed shot from outside the box is saved in the centre of the goal. Assisted by Alexandre Lacazette. Attempt missed. Memphis Depay (Lyon) header from the centre of the box is high and wide to the left. Assisted by Christophe Jallet with a cross. Offside, Lyon. Corentin Tolisso tries a through ball, but Alexandre Lacazette is caught offside. Attempt blocked. Paul Lasne (Montpellier) right footed shot from the centre of the box is blocked. Corner, Montpellier. Conceded by Mouctar Diakhaby. Attempt blocked. Steve Mounie (Montpellier) left footed shot from outside the box is blocked. Assisted by Lukas Pokorny. Stéphane Sessegnon (Montpellier) wins a free kick in the attacking half. Delay in match Rachid Ghezzal (Lyon) because of an injury.